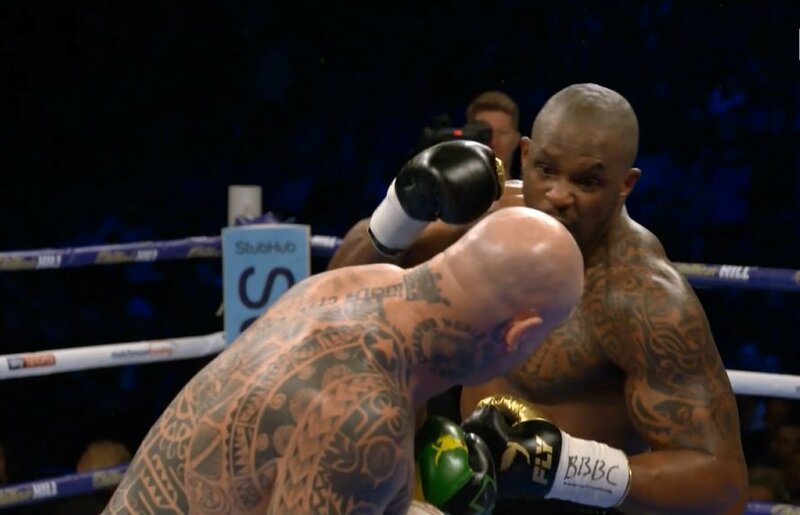 Dillian ‘The Body Snatcher’ Whyte (23-1, 17 KOs) destroyed former WBA World heavyweight champion Lucas ‘Big Daddy’ Browne (25-1, 22 KOs) in a 6th round knockout on Saturday night at the O2 Arena in London, England. Whyte knocked Browne out cold in the 6th round with a left hook to the head that put the Australian heavyweight down face first on the canvas. The fight was televised on Sky Sports in the UK and on HBO Boxing in the U.S. HBO picked up the fight to get in on what could be a fight between Whyte and Deontay Wilder or Anthony Joshua. Referee Ian John Lewis halted the fight 37 seconds into round 6. The speed difference between the two heavyweights was the difference in the fight. The 38-year-old Browne was just way too slow to handle the speed of the 29-year-old Whyte. In round 3, Browne suffered a bad cut over his left eye. The cut continued to be a problem for Browne the entire fight. In the 5th round, Browne suffered a bloody nose and his face looked like a mess. Browne was not nearly good enough to compete in this fight. Whyte’s promoter Eddie Hearn says he believes the WBC will make him the mandatory challenger for Deontay Wilder next, and he thinks that he’ll have no choice but to fight him. Hearn is hoping Wilder-Whyte can take place in June. With this win, Whyte is now the WBC mandaotry challenger to World Boxing Council heavyweight champion Deontay Wilder. It’ll be up to the WBC to determine when they’ll order the Wilder vs. Whyte fight. If they do order the fight, then Wilder will have to face Whyte before he can get to a unification match against IBF/WBA heavyweight champion Anthony Joshua. That’s the fight that Wilder wants.